[..] change starts in the periphery where very few are looking. Look at China where the Shanghai composite is down 23% since January. And look at Brazil where the Bovespa is off 17% so far this year and Turkey which has lost 20%. What is important to understand is that most major markets are now looking extremely vulnerable, be it Japan, Germany or the US. Fundamentally most markets are overvalued with the help of central bank liquidity. Also, technically we are not far from crashes in most markets. Whilst there is always a possibility of a last hurrah, it looks like all markets have topped, including the US, and that later in 2018 we will see major falls. Once the bear markets start, they are likely to turn into secular trends that last many years and result in falls of 75% to 95%. Difficult to believe for most investors today, but nobody in 1929 believed that the Dow would fall 90% in the ensuing years and take 25 years to recover. The investment world has been lulled into a permanent state of security and euphoria. 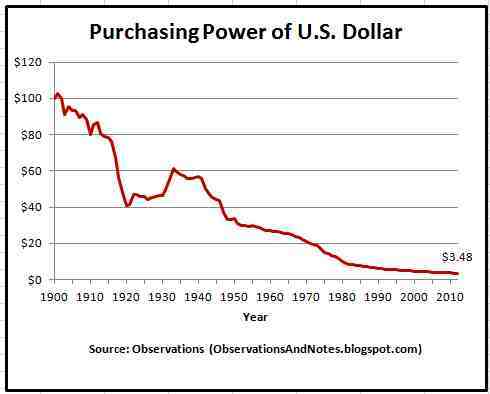 Hard to deny that central banks and governments have been extremely skilful in telling the world constant lies. And why would anyone protest, as the rich are getting incredibly rich and many normal people in the West have a higher standard of living than ever. Very few of the “normal people” understand that their prosperity is built on personal debt and their government borrowing more than ever. Nor do they understand that they are responsible for this debt that they of course can never repay. Even less do they understand that they will be on their own when debt implodes and they lose their jobs. Because the state will at that point have run out of money and there will be no social security or unemployment benefits. Nor will there be any pension for retirees as pension funds will go from extremely underfunded to totally unfunded. When Trump was elected in November 2016, I forecast that US debt would continue to double every 8 years on average, as it has done since Reagan become president. That would lead to $28 trillion debt by 2021 and $40 trillion by 2025. Well, it seemed quite unrealistic back in 2016 that the US would average over $2.5 trillion deficit in the ensuing 8 years to 2025. 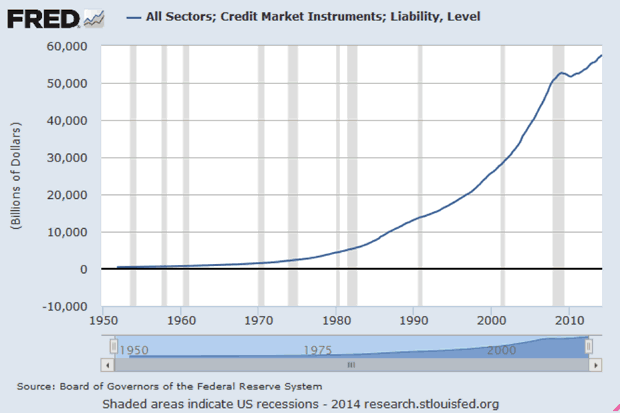 Judging by current forecasts, it looks like debt will “only” be $25 trillion in 2021. 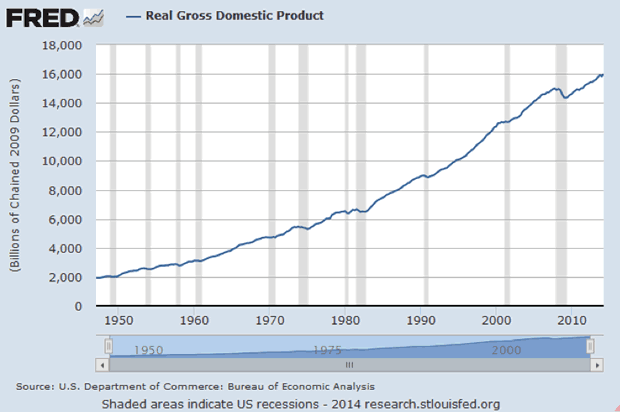 But as tax revenues decline and spending increases, I would not be surprised to see $28 trillion debt in 2021. That would put the US on course for a $40 trillion debt in 2025.That would mean a doubling of the debt from 2017 which is in line with the historical trend of a 100% increase every 8 years. A $40 trillion debt in 2025 would be bad enough but things are likely to get worse. With debt exploding, the Fed will lose control of interest rates as foreign investors dump US bonds. A rate of 10% at that point would not be unrealistic. That would lead to an interest bill of $4 trillion per year (10% on $40T). This would mean that just interest costs are likely to be higher than total tax revenue. Small caps aside, the marketwide numbers are staggering: about $1 trillion worth of stocks listed in China’s two main markets, Shanghai or Shenzhen, are being pledged as collateral for loans, according to data from the China Securities Depository and ChinaClear. More ominously, this trends has exploded in the past three years, and according to Bank of America, some 23% of all market positions were leveraged in some way by the end of last year in China, double from the start of 2015. As a result of the recent market rout which sent the Shanghai Composite into bear market territory, in June UBS warned that it sees a growing risk in China’s stock pledges; the bank calculated that the market cap of pledged stocks that have fallen below levels triggering liquidation amounts to 440 billion yuan with some 500 billion yuan below warning line, which translates to ~1% and 1.1% of China’s entire market value of $6.8 trillion. A separate analysis by TF Securities, as of Jun 19th, stock prices of 619 companies were close to levels where margin calls will be triggered. Since then, that number has increased. When Toys R Us went bankrupt, they got permission to give the executives that drove the company into bankruptcy $32 million in bonuses. Store employees, regular working people, got nothing. Ann marie reinhart was one of the first people to learn that Toys “R” Us was shuttering her store. She was supervising the closing shift at the Babies “R” Us in Durham, North Carolina, when her manager gave her the news. “I was almost speechless,” she told me recently. Twenty-nine years ago, Reinhart was a new mother buying diapers in a Toys “R” Us when she saw a now hiring sign. She applied and was offered a job on the spot. She eventually became a human-resources manager and then a store supervisor. She stayed because the company treated her well, accommodating her schedule. She got good benefits: health insurance, a 401(k). But she noticed a difference after the private-equity firms Bain Capital and Kohlberg Kravis Roberts, along with the real-estate firm Vornado Realty Trust, took over Toys “R” Us in 2005. “It changed the dynamic of how the store ran,” she said. The company eliminated positions, loading responsibilities onto other workers. Schedules became unpredictable. Employees had to pay more for fewer benefits, Reinhart recalled. Reinhart’s store closed for good on April 3. She was granted no severance—like the more than 30,000 other employees who are losing their job with the company. In March, Toys “R” Us announced that it was liquidating all of its U.S. stores as part of its bankruptcy process, which began last September. Observers pointed to the company’s struggle to fight off new competition. In its court filing, the company laid the blame at the feet of Amazon, Walmart, and Target, saying it “could not compete” when they priced toys so low. Less attention was paid to the albatross that Bain, KKR, and Vornado had placed around the company’s neck. Toys “R” Us had a debt load of $1.86 billion before it was bought out. Immediately after the deal, it shouldered more than $5 billion in debt. And though sales had slumped before the deal, they held relatively steady after it, even when the Great Recession hit. The company generated $11.2 billion in sales in the 12 months before the deal; in the 12 months before November 2017, it generated $11.1 billion. Last week, in response to a petition seeking a referendum on the final deal, the government not only refused to allow “the people” to decide on the terms of Brexit, it categorically stated that parliament will not be allowed to do so either. Parliament will instead be given what it calls “a meaningful vote … either [to] accept the final agreement or leave the EU with no agreement”. This is the opposite of “meaningful”; the government intends to refuse parliament the chance to reject both options – it must accept what is offered or take nothing at all. And this is the government’s position, irrespective of the dire consequences for our country or “the will of its people” to avoid them. Even though the UK could before March 2019 change its mind, the government says that it will on no account let that happen. Britain’s empire days are over. Hard to accept?! Britain’s prime minister has been fighting a valiant, losing battle to rescue British relations with Iran in the wake of US President Donald Trump’s reckless attempts to wreck them. But last week Theresa May was dealt a devastating blow to her authority after several Tory MPs defied her by going to Paris for a meeting designed to promote regime change inside Iran. This event is the latest sign that the prime minister and her foreign secretary, Boris Johnson, are facing a mutiny over Iran. Former cabinet minister Theresa Villiers was among senior Tories who travelled to Paris last week to hear Rudy Giuliani, former mayor of New York and Trump’s highly influential lawyer, call for the downfall of the Iranian government. This meeting was a direct defiance of British government policy, which aims to save the Iran nuclear deal intact, and is against engineering a change of government in Iran. Indeed, Johnson assured Parliament in May that “I do not believe that regime change in Tehran is the objective that we should be seeking.” The overwhelming majority of Conservative MPs favoured Trump’s policy of dismantling the JCPOA – and condemned May’s policy of keeping it Three Tory MPs – along with one Labour MP – travelled to the event, organised by the National Council of Resistance of Iran, a front organisation for Mojahedin-e-Khalq Organisation (MEK), once listed by the US as a terror organisation. There is no question that these reflect a powerful and vocal body of sentiment inside the Conservative Party. Sanctions on Iran conflict with lower oil prices. The fundamental problem of the last OPEC meeting is the evidence of the division between two groups. One, led by Iran, which wants higher prices and deeper cuts, and the two largest producers, Saudi Arabia and Russia, who support a more diplomatic position. Iran wants to continue increasing its own production yet wants OPEC to maintain the group cuts. Iran also faces the backlash of sanctions on exports. Today, the US exports more oil than Iran. Saudi Arabia and Russia have the lowest production costs and stand as the ones to gain more from a moderate production increase. Oil prices will not collapse and they will sell more oil. The agreed increase in production is a good political move from Saudi Arabia because it shows that it does not aim to harm the world economy or its customers, only to return to a stabilized oil market. With this, Saudi Arabia cements its position as the Central Bank of oil. The winners from this carefully designed agreement are Saudi Arabia, Russia, and the Gulf countries. Those who enjoy lower costs and can generate higher revenues from improved exports. The agreement sets production higher but no individual quotas, so improvement in output is left to the countries with the highest excess capacity. Iran, Venezuela, Ecuador and other countries that have production and geopolitical problems suffer the most. The commitment is likely to add 600,000-650,000 barrels per day to the market. A figure of 32 million barrels per day is agreed, but the real increase will not be the optical one million barrels per day, but rather the aforementioned 650,000 one. This figure, at a time when oil inventories are in line with the average of the past five years, relieves inflationary pressures and eliminates the risk that the US Administration will take political measures against the OPEC countries. Trump had already alerted OPEC that it could not keep inflating prices artificially. In addition to showing the tension between these two sides, the OPEC summit also reveals that the cartel has much less market control than they would like to have. 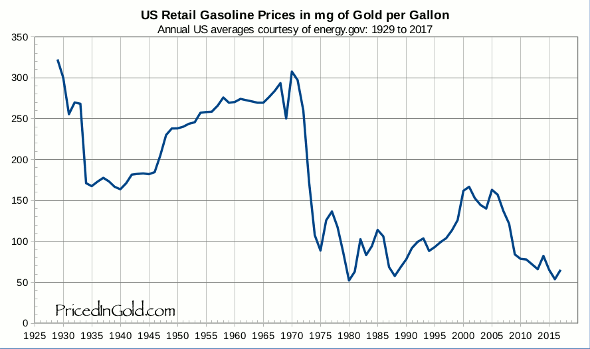 The fact that the price has only reached 80 dollars a barrel (compared to 100-130 dollars a few years ago) indicates that their ability to manipulate prices to 100 dollars per barrel is very low. How does that country still function? Turkish authorities ordered the dismissal of more than 18,500 state employees including police officers, soldiers and academics, in a decree published on Sunday. The Official Gazette said 18,632 people had been sacked including 8,998 police officers in the emergency decree over suspected links to terror organisations and groups that “act against national security”. Some 3,077 army soldiers were also dismissed as well as 1,949 air force personnel and 1,126 from the naval forces. Another 1,052 civil servants from the justice ministry and linked institutions have been fired as well as 649 from the gendarmerie and 192 from the coast guard. Authorities also sacked 199 academics, according to the new decree, while 148 state employees from the military and ministries were reinstated. Turkey has been under a state of emergency since the July 2016 attempted overthrow of President Recep Tayyip Erdogan. Turkish media dubbed the decree as the “last” with officials indicating the state of emergency could end as early as Monday. The emergency has been renewed seven times and the latest period is officially due to end on July 19. Over 110,000 public sector employees have been removed previously from their jobs via emergency decrees since July 2016 while tens of thousands more have been suspended in a crackdown criticised by Ankara’s Western allies. [..] Sunday’s decree shut down 12 associations across the country as well as three newspapers and a television channel. Recommended by Jim Rickards. The changing shapes of world order. Just a few days ago, in an unexpected move, Ray Dalio, the founder of world’s largest hedge fund -Bridgewater Associates- announced on Social Media: “Today is the first day of the war with China.” And a day earlier, Trump made a statement about the upcoming summit in Helsinki, claiming that: “Putin’s fine. He’s fine.” One might wonder what the former message has to do with the latter, and how all these contradictory statements fit together. In fact, they make sense if seen through the prism of an emerging bipolar World Order 2.0, which is about the systemic rivalry between the USA and China, and the unique position of Russia in between. It has become apparent that most of the decision-makers, experts and scholars mistook the end of the US-led unipolarity for the beginning of multipolarity and thus overlooked the emergence of the Global System bipolarity as well as the creation of the Dragonbear (an unique systemic bond between China and Russia as opposed to the USA). Furthermore, the Global System has become too unsustainable regarding its main (man-made) socio-economic components of global finance, monetary, economy, trade, and energy networks, and, as a consequence, is now being shaped by the unprecedented systemic rivalry between the USA and China, with Russia, the EU and India being the free riders, which leads to unexpected new alliances like the Dragonbear or the one between the USA and India, and might also result in the breakup of the NATO and the EU in the long term. Back in 1975, the West and the Soviet Union bloc met in Helsinki to negotiate and sign a final act with ten principles that have been guiding their relations until now, among which the principle of sovereign equality, the refraining from the threat or use of force, inviolability of frontiers, the territorial integrity of states, and the non-intervention in internal affairs. Indeed, these principles were constantly deteriorated by the actions of single states or organisations over the last decades but were at least recognised by all actors of the global affairs. However, Trump and Putin might declare new rules of the game, which will reflect the growing great powers competition and the flux of the global affairs. The meeting between Trump and Putin tête-à-tête will most likely address the broader picture of the geopolitical and geoeconomic interests of the two actors in the Middle East and beyond, particularly avoiding sensitive issues such as Ukraine, Syria (except for the sake of coordination efforts) or energy sanctions, and will specifically focus on North Korea, Iran and nuclear non-proliferation. The old world order no longer works. Exactly. If their history proves anything, Germans are not a nation of pacifists, meekly willing to bend-over in the face of real aggressors. Yet they spent the paltry sum of $43 billion on defense during 2017, or barely 1.1% of Germany’s $3.8 trillion GDP, which happens to be roughly three times bigger than Russia’s. In short, the policy action of the German government tells you they don’t think Putin is about to invade the Rhineland or retake the Brandenburg Gate. And this live action testimonial also trumps, as it were, all of the risible alarms emanating from the beltway think tanks and the 4,000 NATO bureaucrats talking book in behalf of their own plush Brussels sinecures. But now comes the piece de resistance. The Donald is going to Helsinki to make peace with Vlad Putin, and just in the nick of time. Hopefully, in one-fell swoop they can reach an agreement to get the US military out of Syria; normalize the return of Crimea and Moscow’s historic naval base at Sevastopol to the Russian motherland; stop the civil war in Ukraine via a mutually agreed de facto partition; stand-down from the incipient military clashes from the Baltic to the Black Sea; and pave the way for lifting of the absurd sanctions on Russian businessmen and citizens. Needless to say, time is of the essence. Every hour that the Donald wastes tweeting, bloviating about his beloved Mexican wall, sabotaging American exports and jobs and watching Fox & Friends reruns is just more opportunity for the vast apparatus of the Deep State (and most of his own top officials) to deep-six the Donald’s emerging and thoroughly welcome rendition of America First. Die-off: The population and the planet’s state (indicated by something like its average temperature) rise very quickly. Eventually, the population peaks and then declines rapidly as the rising planetary temperature makes conditions harder to survive. A steady population level is achieved, but it’s only a fraction of the peak population. “Imagine if 7 out of 10 people you knew died quickly,” Frank says. “It’s not clear a complex technological civilization could survive that kind of change.” Sustainability: The population and the temperature rise but eventually both come to steady values without any catastrophic effects. This scenario occurs in the models when the population recognizes it is having a negative effect on the planet and switches from using high-impact resources, such as oil, to low-impact resources, such as solar energy. Lovely treatise on how capitalism shaped leisure time. Although “commemoration of the Resurrection” was the official reason early Christians began observing the day of rest on Sunday instead of Saturday, they were also eager to differentiate themselves from Jews, and by the fourth century this eagerness translated into the codification of the Sunday Sabbath in ecclesiastical and civil legislation. A millennium and a half later, the Sabbatarian movement pointed to this antisemitism, along with the undue influence of pagan sun worship among early Christians, as reason to reestablish Saturday as the Christian Sabbath day. Temporal, political concerns should not have affected the observance of the true day of rest, so their argument went.